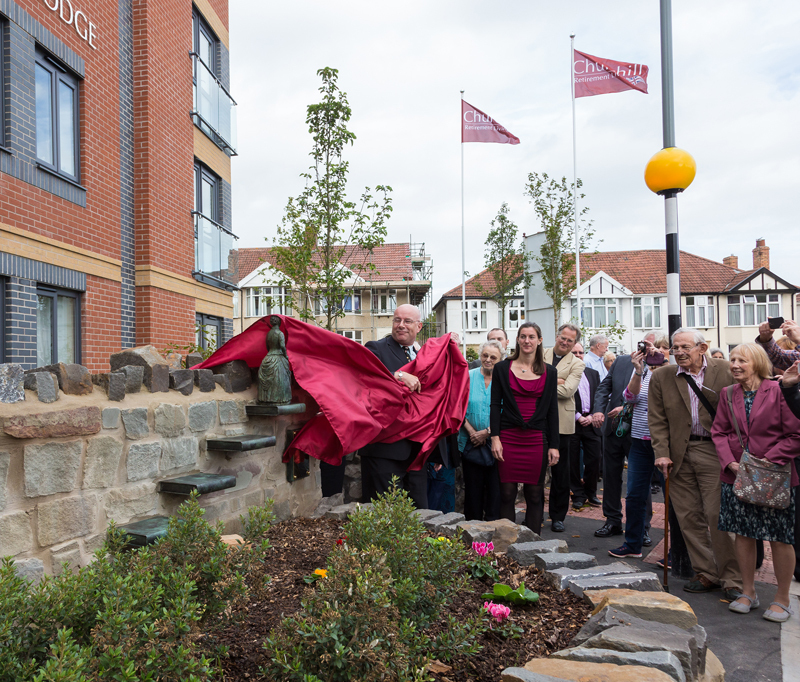 So my first outdoor, public, bronze sculpture has been installed in Henleaze, North Bristol and was ceremoniously, unveiled with red silk(!) at the opening ceremony last week. 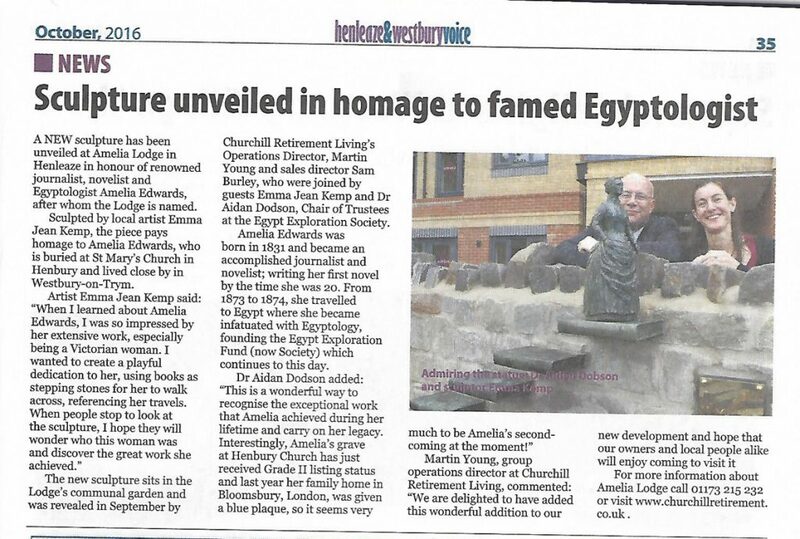 The sculpture is a commission from Churchill Retirement Homes, and the local community asked for something in relation to Amelia Edwards, a Victorian traveller and writer who lived and died in the area. 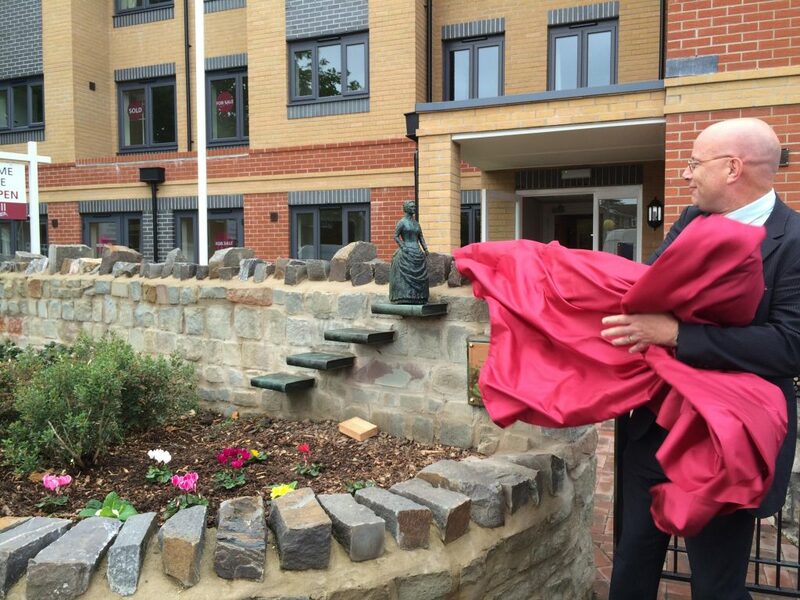 It was a pleasure to see the new residents of the home as well as local community, react so positively to the sculpture, which was more playful and inspiring than the usual bust on a plinth.